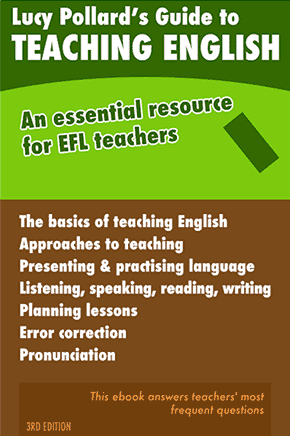 An excerpt from the Introduction to Matt’s ESL Games and Quizzes Book 1 by Matt Errey. Matt is also the creator of Word Up, the world’s best-selling ESL board game. When reading about or discussing the use of games in the classroom, you’ve probably heard particular games referred to as being either “competitive games” or “co-operative games”. The tendency to label games with one or other of these terms seems to have first become widespread in the 1960s and 1970s during debates among Western academics on teaching methods and classroom practices. These debates occurred within a broader debate on how Western social institutions such as the family, religious organizations, mass media, schools and universities, etc., were contributing to the socialization of the young. Social critics of the day, most notably Herbert Marcuse in One Dimensional Man (first published in 1964), suggested that these institutions conditioned the young so as to produce a population of docile citizens willing and able to accept their role as diligent producers on the one hand, and enthusiastic consumers on the other, in a modern capitalist society. Other critics, such as Ivan Illich in his 1971 book Deschooling Society, began to examine the role of the classroom, and particular classroom practices, in this process of socialization. Critics argued that in the traditional classroom the teacher was regarded as the sole possessor of knowledge and authority, while students were regarded as passive receptacles for the teacher’s knowledge and approval. This classroom structure was widely criticized at this time, as were many other aspects of the traditional educational system, such as rote learning, exam-based assessment, and the rigid division of knowledge into distinct and separate subjects. Another aspect of traditional education that was widely criticized was the use of competition in the classroom, either as a means of grading students, or as a means of motivating them. It was seen as a reflection of the overly competitive nature of life in modern capitalist societies, and also as a means of preparing the young for life out there in the “dog eat dog world” that awaited them. One often-cited example of the use of competition in the classroom was the practice of having students compete against one another for awards, scholarships, and access to further education. This practice of pitting students against one another was widely criticized as it was seen as encouraging students to regard a classmate’s failure to perform well as boosting their own chances of success in the struggle for the rewards on offer. These radical critiques of the role of competition within the education system led to a tendency among certain academics and writers to regard anything that could be labelled “competitive” as problematic, including games or classroom activities that involved any form of competition. An example of this tendency can be found in a book published in 1986 entitled No Contest: The Case Against Competition by U.S. “independent scholar” Alfie Kohn in which he argued that all competitive games are bad for children, and that a teacher should never inflict the evils of competition upon his or her students. This book was quite influential at the time of its publication, especially in the U.S., and for several years thereafter the view it had put forward was widely-held among progressive teachers, although the fact that children continued to insist on playing competitive games in the playground, and on the sports field, suggests that students themselves weren’t entirely convinced of the merits of its “anti-competitive” stance. In the succeeding decades, this view has gradually come to be seen by more and more educators as being somewhat extreme, and many have shifted to a more balanced viewpoint. One of the reasons for this shift is the fact that the practice of labelling games as either “competitive” or “co-operative” has itself been challenged. Classifying games in this way is seen by many as being overly simplistic in that it obscures the fact that all games are, by nature, highly co-operative activities, not only the so-called “co-operative games”. For any so-called “competitive game” to work, players must co-operate in a number of ways. They must all behave in ways that accord to the basic premise of the game, they must all agree to obey the rules of the game, and they must all accept the authority of an adjudicator, if there is one, even when they are convinced that he or she has made a mistake. In addition, the fact that many so-called “competitive games”, including many of those described in this book, are team games means that players must closely co-operate with their teammates while playing. As such, playing a competitive game requires a great deal of co-operation, and this fact is only obscured by the use of words like “competitive” and “co-operative” to distinguish different types of games. The development of a more balanced view in relation to the use of competitive games in the classroom meant that both the benefits, on the one hand, and the pitfalls, on the other hand, were acknowledged. The challenge for educators then became one of determining how to enjoy the benefits of competition while at the same time minimizing any potential pitfalls. What educators were looking for has often been characterized as “healthy competition”, as opposed to “unhealthy competition”. While most educators now agree that using competition in the classroom is not necessarily problematic, most would agree that it’s important to distinguish between healthy and unhealthy competition. For most, healthy competition means placing the emphasis on having fun while learning with one’s classmates, rather than on winning at all costs. In order to ensure the emphasis is on fun and learning, teachers shouldn’t offer any special reward to the winner of a game. It doesn’t matter whether the reward is something material like a prize or a medal, something symbolic like the title of “class champion”, or even something more subtle like special affection or approval. Offering any such reward is unhealthy as it can lead to an overemphasis on winning, which in turn can lead to undesirable consequences such as arguments about the rules, accusations of cheating, feelings of shame or failure when losing, feelings of anger and frustration with teammates who make mistakes, and so on. As long as teachers don’t make winning the focus, students can enjoy the fun, excitement and learning opportunities that playing a competitive game can bring. Another problem that is sometimes cited is the possibility that students might feel that losing a game means they’ve “lost face”, or that losing a game could damage a student’s self-esteem, even when winning has not been emphasized by the teacher. While there’s little evidence to support such a concern, if you feel that it’s a valid consideration in the culture in which you’re teaching, you could consider only using team games rather than games in which students compete as individuals. Doing so should mean that responsibility for losing a game is shared among team members, and individual players might be less likely to feel as if they’ve “lost face”. 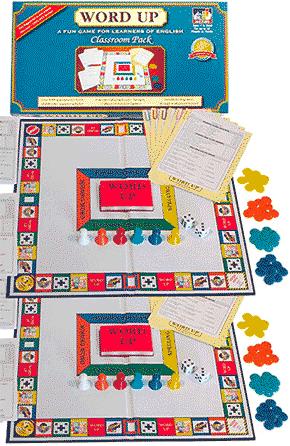 Some games, such as the ESL board game Word Up, can be played by individual players or by teams, allowing them to be used in whichever way best suits the cultural or social setting in which they’re being played. While some of the games and activities in Matt’s ESL Games and Quizzes Book 1 could be labelled “co-operative” or “non-competitive”, the majority involve some degree of competition. This is because the book is, in part, a collection of some of most popular and widely-used ESL games, and most of these are, to some degree, competitive. It is also because many teachers nowadays believe that the benefits of using competitive games outweigh any possible drawbacks, especially when they are used in the spirit of healthy competition outlined above. Kohn, A. No Contest: The Case Against Competition Houghton Mifflin, 1986. Revised 1992.